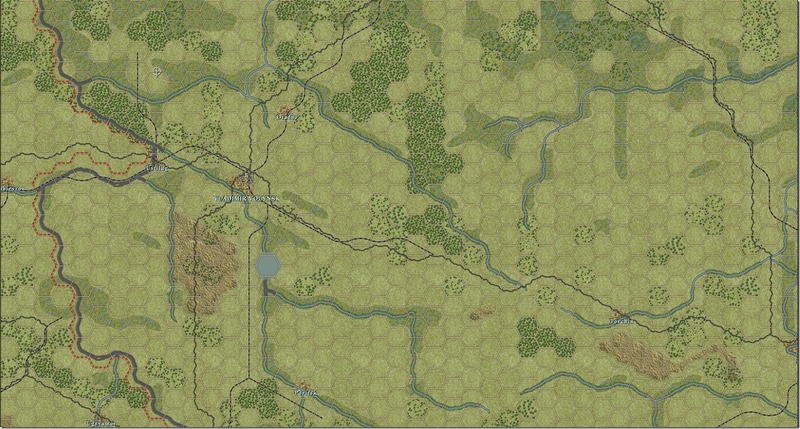 Massive 2.5km per hex Barbarossa map continues to be developed! The huge 2.5km per hex map being built by Jack Bechtold is nearing completion. 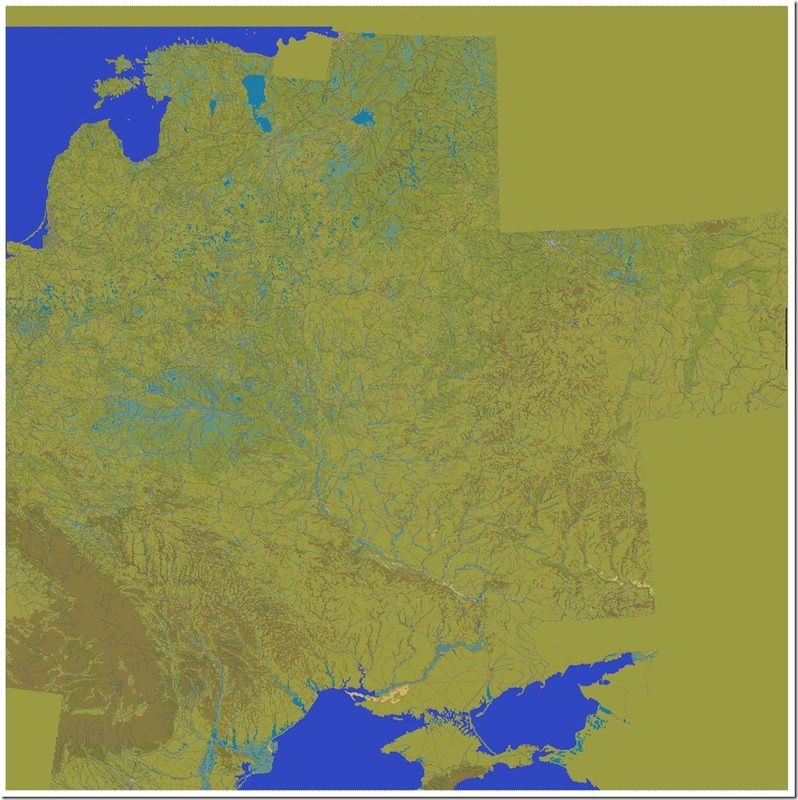 The sample below shows the current overall status (along with an example of the detailed graphics). See previous Blog for more details.